Please welcome these visitors, feel free to contact them. To CLS members: If you have a visitor in your lab or department, please send us an email with the name of the visitor, a URL, a short description of their research interests and/or goal of their visit (see below), and the approximate dates for their visit. Jalon joins the Department of Linguistics from January 2017. 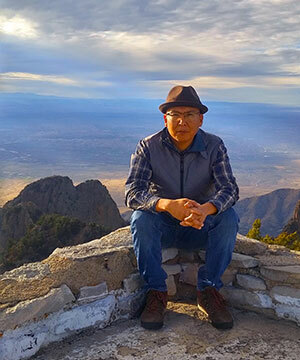 He is working on the structure of the Navajo verbal complex, and the role of postpostional particles in discourse, with Joyce McDonough. Thaís will join the Tanenhaus Lab from September 2015 to June 2016. She is planning to work with weak definites and their processing, and the processual contrasts with generic definites. Her visit is partially sponsored by UFMG. Guillermo will join the Human Language Processing Lab from late September-October 2015. He is planning to investigate whether priming specific aspects of a bilinguals language competence can change how the process visual similarity. His interested include bi- and multilingualism and the language-cognition interface. His visit is sponsored by the University of Stockholm. Idoia will join the Human Language Processing Lab. She is planning to work on information structure and contrast effects on sentence production in Spanish and Basque. Idoia's visit was funded by a short-term travel grant from the Spanish Ministerio de Competitividad y Economía. Elaine is spending her sabbatical in Linguistics from 2014-2015. Her research in sociolinguistics focuses on discourse analysis, style, and the role of race, class, and gender in language. 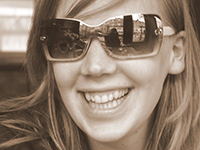 Geertje will join the Human Language Processing Lab for one month in late March-late April 2015. She works on sentence and discourse processing. Among other things, she plans to conduct an ERP study while at Rochester. Geertje was awarded a 3-year Innovational Research Incentive / Veni grant by the Netherlands Organisation for Scientific Research (NWO).